Fast becoming one of our most popular boats, the 413 provides an excellent balance between comfort, performance and value in a 41-foot yacht. The yacht accommodates three couples comfortably. 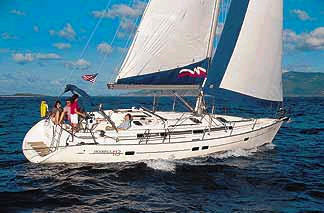 It also is the perfect choice for two couples looking for the performance and space of a larger boat. 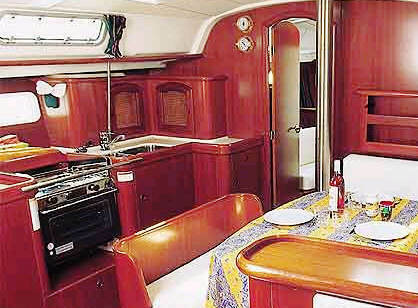 The Moorings 413 accommodates up to 3 couples in comfort. The master cabin is located forward with a private ensuite head with a spacious shower unit. 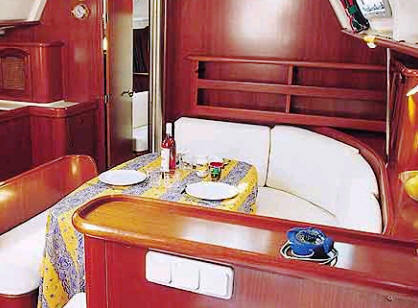 There are two more double cabins in the aft which share an additional head and shower. The 413 has a large bimini, electric windlass, additional water capacity, dinghy with outboard, snorkeling gear, cruising guide, chart and boat briefing. Optional extras include a kayak, skipper, cook and a provisioning service.